IDEA KRAFT team will be at our Chamber office on Tuesday, May 8th from 10am to 4pm to meet with businesses that would like to be featured in the new Otsego County Community Guide. They will discuss the process and photoshoot preparation and will answer all of your questions. They will also bring a sample of what the book will look like. You don’t want to miss it. If you can’t make it in person, please send us an email to schedule a call. 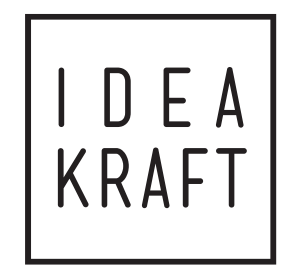 The Otsego Chamber of Commerce is pleased to announce that it will be publishing a brand new, completely redesigned Community Guide about our region with the help from our member and creative agency, IDEA KRAFT. This full-color publication is a great opportunity to feature your business. The Community Guide will highlight a diverse mix of local businesses, products and attractions through more than 50 full-page spreads. A combination of engaging visuals and informative text will encourage visitors to explore all the great experiences Otsego County has to offer. The back of the book will include a directory of businesses with maps displaying their locations. Initial distribution of 2,500 publications will be local in addition to areas outside the region. Our Community Guide will reach a wide range of visitors to your area, making it easy for them to connect with different businesses. Each business will be visually highlighted on a page dedicated solely to them and will receive three to five professional photos that they can also use for their own marketing purposes. Additionally, businesses have the option to register for only the directory and map rather than the full page feature. We’re excited about the vast growth happening in our community and strongly believe that we can make Otsego County a tourism destination by showcasing its great businesses, products and attractions. You are invited to reserve your featured space by Friday, May 18th, 2018. For additional information, refer to the enclosed flyer or contact IDEA KRAFT’s Project Manager Jocelyn Bailey at [email protected] or 607-235-5855 or call the Otsego County Chamber Barbara Ann Heegan at (607) 267-4010. Thank you!